Nintendo Cade Gaming demonstrates how you can watch VR videos on your Switch using Labo VR. Nintendo Labo Toy-Con 04 VR Kit has been released for the Nintendo Switch. Beyond the games you can play with the VR kit, you can also watch YouTube videos in VR. 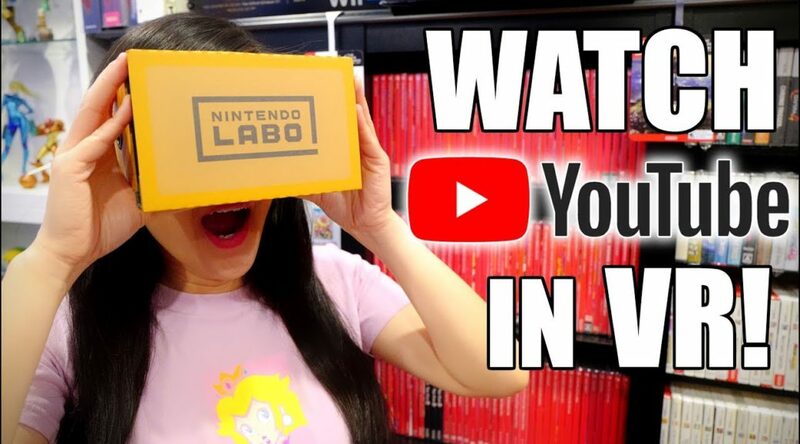 Join Evelyn and I in this episode to find out how to watch videos on YouTube in VR on your Nintendo Switch with the Nintendo Labo Toy-Con VR Goggles. He warns in the video that it’s not just any video that can use the VR function however. To find compatible videos for the VR experience, you should use the search term “Cardboard VR”. This should provide results where the screen is split in two, one for each eye to see. Nintendo Cade also warns that 360 degree videos will not function with the Labo VR headset which makes sense given the format of the videos and that Youtube isn’t directly connected to the Labo VR function. Have you tried watching and VR Youtube Videos? Let us know your thoughts about this in the comments.